A pumpkin farm was the site for a massive gathering Sunday morning as Bernese mountain dogs took over Farmer John’s Pumpkin Patch in Half Moon Bay. John Muller said he’s been hosting the dogs for years and it just keeps growing. Resident Burnese dog, Clara, hosted this year's blowout canine party. 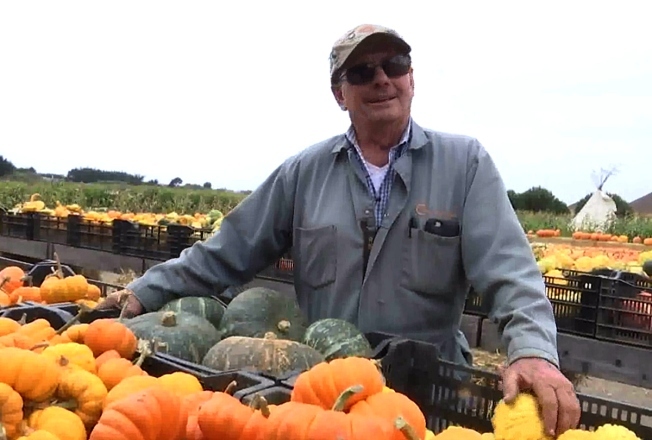 Fully grown, the dogs reach nearly 100 pounds, yet the farmer still says he helps the furry guests take hayrides around the pumpkin patches. If you missed the party, don’t sweat it. Now in its 14th year, Muller said he plans to continue inviting the dogs out for a day at the farm in the years to come. The event takes place annually on the first Sunday of October at 850 North Cabrillo Highway in Half Moon Bay.